Looks like the end of the year is not coming without joy for thousands of people and members of the xda community. In this particular case, we see that the Xperia X10 owners are getting their hands on the future of Android a little early in the game. Sony devices getting unofficial updates is particularly a joyous occasion as they are normally, along with Motorola device owners, among the last to normally get their hands on any kind of useful ports, mainly due to the ridiculous locks placed on these devices by manufacturers. Despite all this, the great devs on the X10 are able to bring you the best of the latest from Google. 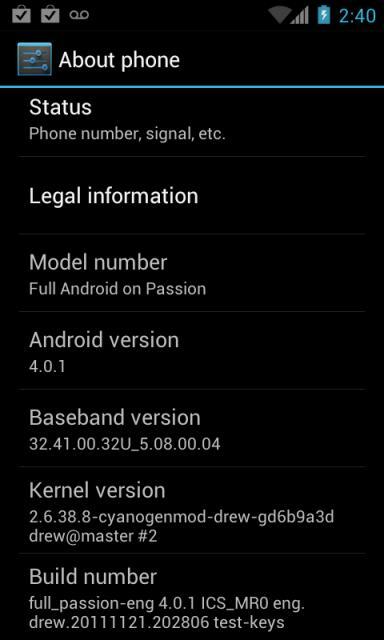 XDA Recognized Developer zdzihu has just released an alpha port of AOSP ICS, and as such it has only but a few things working properly. It seems that wireless connectivity is one of the major components that is still shaky due to Wifi still not being functional and 3G having trouble connecting, but the phone itself works and it seems that BT does so as well. Unfortunately, the build is a bit unstable and cannot really be used as a daily driver. This is, as stated earlier, a work in progress and because of this may not be your best choice for a daily driver. However, if you happen to have an X10 laying around somewhere and would like to take this for a spin, please make sure that you report any and all feedback back to the dev. Have fun! Thanks MatheusSnakepit for the tip! I have been an active member of xda-developers since 2005 and have gone through various roles in my time here. I am Former Portal Administrator, and currently part of the administrator team while maintaining my writer status for the portal. In real life, I am a Chemical Engineer turned Realtor in the Miami area.